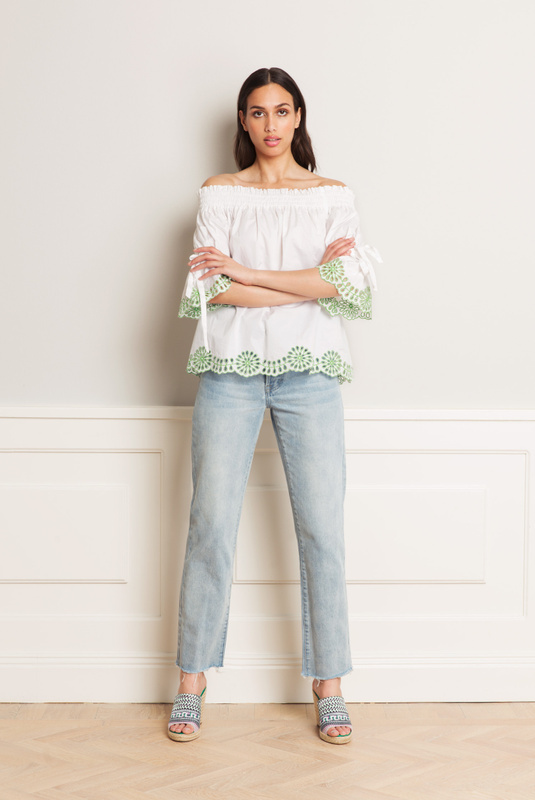 Jenna blouse is a cute off shoulder dream that is embroidered in the cutest colors. With drawstrings in each sleeve you have the possibility to adjust the styling of the blouse. 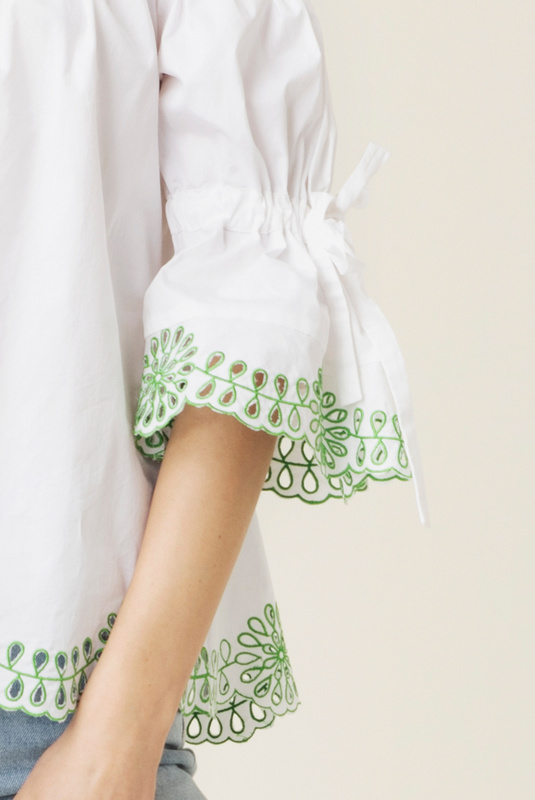 The crisp cotton gives the blouse a special firmness.